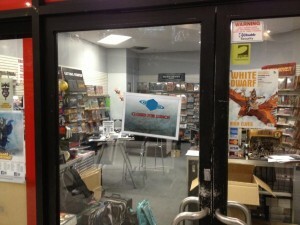 Game Classy has posted episode 54 of their podcast up online for your listening pleasure. Joe and Steve get all up in the Torn Armor/Defiance debacle and try to make sense of the wtf-ness of that situation. Our heroes also make it through a string of new releases including Avatars of War and Sails of Glory.The two also cover Kickstarter’s Tiny Epic Kingdoms. They finally round the cast with Steve going on a way too long diatribe about Eurogames. All this and they announce the winner of the Titan Forge contest AND announce a new Red Box Games contest! To win some super duper sweet Red Box Games Miniatures just comment on your favorite (or least favorite) Game Classy bit is right here on Table Top Gaming news (On this very post!!!). Winner will be chosen at the hosts Leisure.